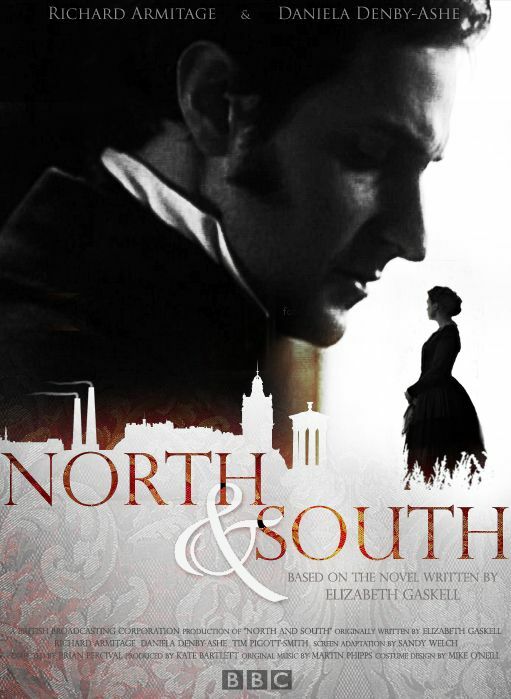 Last week I raved wrote about Elizabeth’s Gaskell’s North and South, a novel I started but never finished reading back in college and now all I can say to myself is, “WHY didn’t I read this book before?” I decided to read it this year for the Back to the Classics Challenge, mainly so I could re-watch the BBC miniseries starring Richard Armitage and Daniela Denby-Ashe. Since I loved the book, I was excited about comparing the miniseries to the original text, and although there were some expected changes, overall I was very satisfied with this adaptation. I’ll try not to spoil the book or the miniseries while I highlight some of the biggest changes I saw in the adaptation. Unlike other Byronic heroes, I never disliked Mr. Thornton. Right from our first introduction to him in the book, I held a soft spot for him. The way we are introduced to Mr. Thornton in the miniseries is much more abrupt and it exaggerates Margaret’s view of him as a harsh and unfeeling master. The cotton factory scene is completely made up for the miniseries, and yes, it bothered me a little to see Mr. Thornton so violent, but I didn’t think it ruined the adaptation. For the record, I love the ending from the miniseries. But the book ending made me cry happy tears that I haven’t cried since reading Jane Eyre (side note: this book reminded me so much of Jane Eyre). I would love to see an adaptation one day when they keep the original ending, but I have to say that I don’t think that ending would have suited this miniseries. The ending they created was beautiful and it fit this particular cast and direction beautifully. I can’t talk about this soundtrack enough. This particular track, “Northbound Train,” can literally bring tears to my eyes (believe me, it happened at work one day last week). I love music that makes you feel the same strength of emotions whether you’re watching the movie or not. Richard Armitage, in my opinion, was perfectly cast for the role of Mr. Thornton. I also loved Sinéad Cusack as Mrs. Thornton; she’s another character I held a soft-spot for despite her harsh characteristics. I could probably talk about this novel and the miniseries forever, but instead I’ll just let you enjoy it for yourself :) It’s on Netflix if you’re in the mood for a Victorian romdram. I’ve been meaning to re-watch this miniseries, I <3 it so much (hmm, might try to "push" it to my parents, hehehe). 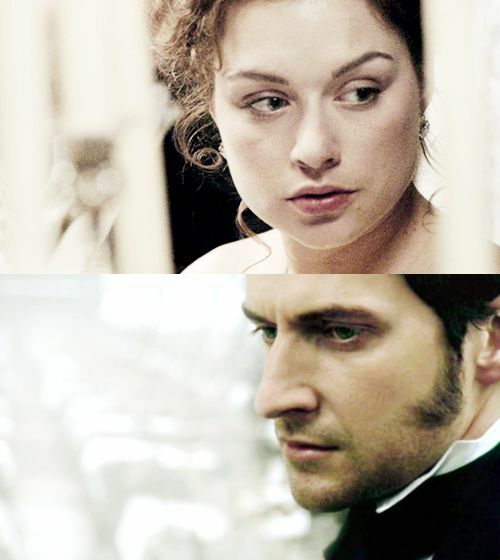 Having read the book after the miniseries, it was pretty startling in retrospect at how Mr. Thornton was introduced in the show, but it served its purpose in why Margaret responded to him the way she did. It’s a really good adaptation! I was also startled by Mr. Thornton’s introduction, but clearly we’re meant to empathize more with Margaret and her negative image of him. And I’m happy that you also loved the music and the ending! So Many Bloggers keep raving about this miniseries and book that they’re on my Must List for 2015. And it reminds you of Jane Eyre? How promising!!! Yay! And yes, both the book and the movie reminded me a lot of Jane Eyre. There were also some Pride and Prejudice similarities, which surprised me a little because I thought Gaskell wasn’t a fan of Austen (I could be wrong about that though). Oh this miniseries! I just want to cuddle it, it’s so gorgeously done! :) I’m intrigued by all the differences from the book though, it will be interesting to see how the book compares. I will have a hard time not seeing and hearing Danielle and Richard in the main characters though. :) The soundtrack of this series is wonderful too – that song you highlighted is my favorite too, it builds so slowly and has this light ethereal quality, just gorgeous. I’ve never read the book but I have the miniseries in my queue. It is good to know Mr. Thornton is portrayed harsher than in the book.